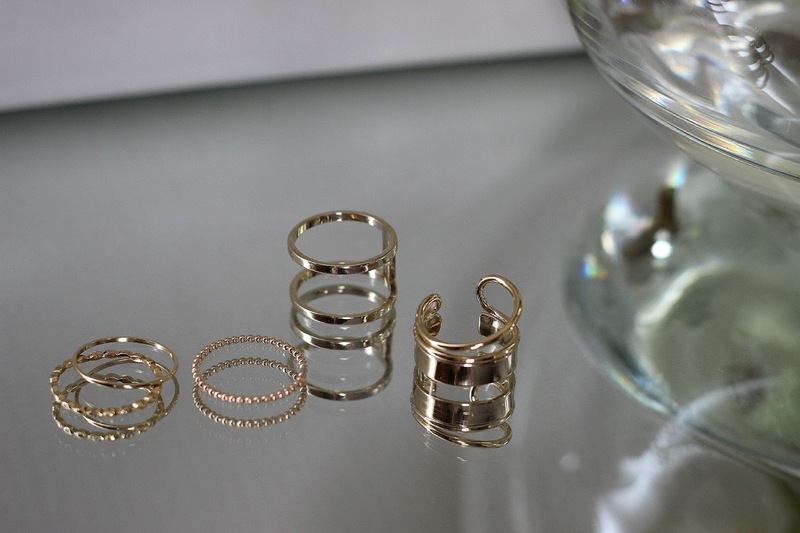 I've procrastinated away many precious hours on Etsy, online home of the handmade dainty rings and slotted first on the index finger of my right hand is the Beaded Stacking Ring, which can be worn alone or paired up with others. It's 14k gold filled and only in the early days did I have the dreaded green stain, but after much wear it hasn't made a comeback, nor has the material tarnished. Absolutely love your nail polish shade, great for summer. 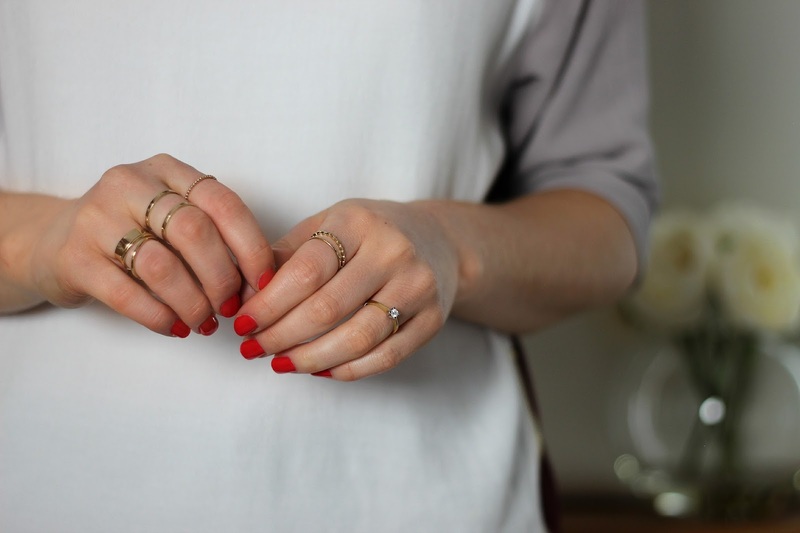 I very rarely wear jewellery, I find I can't really pull off rings like this.